Epta will be waiting for you at Euroshop 2017, the largest Retail sector fair in the world scheduled to take place on the 5-9 March 2017 in Düsseldorf (Stand A60 – B60, Pav. 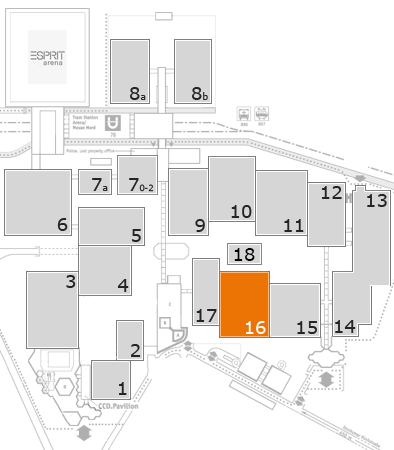 16), to present all the latest products from its brands Costan, Bonnet Névé, George Barker, Eurocryor, Misa, Iarp and Knudsen Køling, as well as the exclusive Epta Service for post-sales assistance services. The event will also be an opportunity to confirm once again the Groups capacity to combine the expertise, innovation and personalisation of the solutions presented by its brands, offering Customers an original and captivating store experience. The strategy is encapsulated in the claim “#EptaExperience is the way”. Watch the video "#EptaExperience is the way to Euroshop 2017"
Knudsen Køling, is a Danish brand specialising in the design, installation and maintenance of turnkey refrigeration and CO2 systems, joined the Epta Group in July 2015. Headquartered in Køge, close to Copenhagen, Knudsen Køling has been providing Danish Retailers and industry with excellently designed, highly efficient refrigeration cabinets, plug-ins and reliable solutions since 1961, supported by a nationwide sales distribution and service network.